Born and raised in Washington State, Sean served 20 years as a Law Enforcement and Education Training Specialist in the United States Air Force from 1989-2009. He moved to San Diego in 2010 and attended his first Pride in 2011. In 2012, he walked with his husband Jackson Redmond (Army National Guard) in San Diego Pride’s very first military contingent with service members wearing full uniforms. Sean now works for San Diego Unified School District Transportation Department as a special needs school bus driver. Volunteering, giving back to the community and family are strong drivers for Sean. 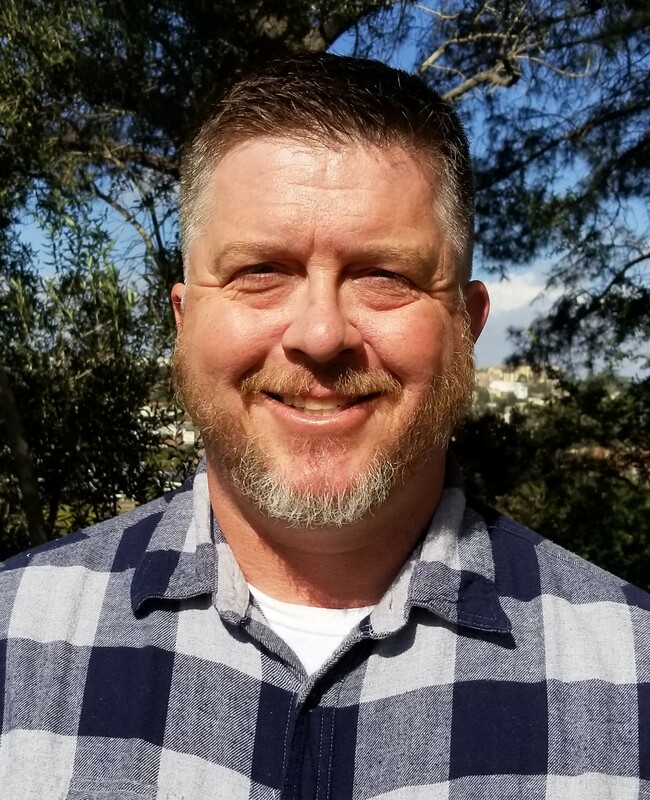 He currently serves as the Executive Director of Stonewall Citizens’ Patrol, the Director of Safety for the San Diego Gay Men’s Chorus and the 2019 Festival Co-Manager for San Diego Pride. In his spare time, Sean also volunteers with Gay for Good-San Diego and Mama’s Kitchen, and both he and Jackson are members of the San Diego Fire Department Community Emergency Response Team (CERT). Sean’s daughter is currently a graduate student in Biochemistry Forensics at the University of Nebraska and he and Jackson have an 8-year old rescued fur kid Artie at home in Hillcrest.